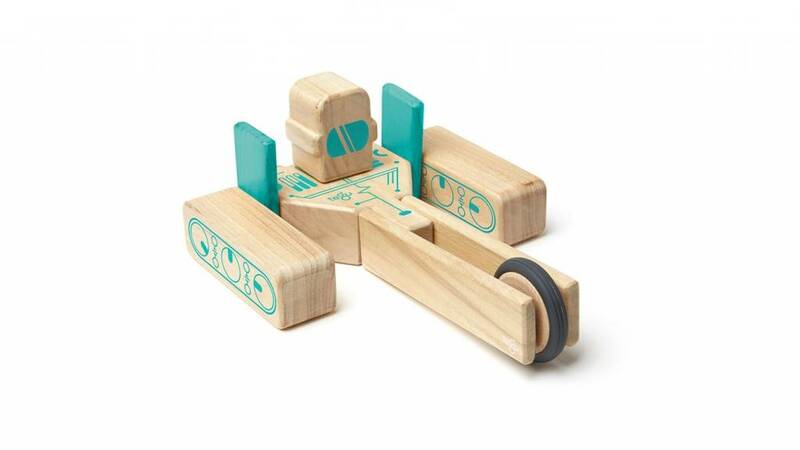 Fast forward your play into the next millennium with Tegu's FUTURE sets! 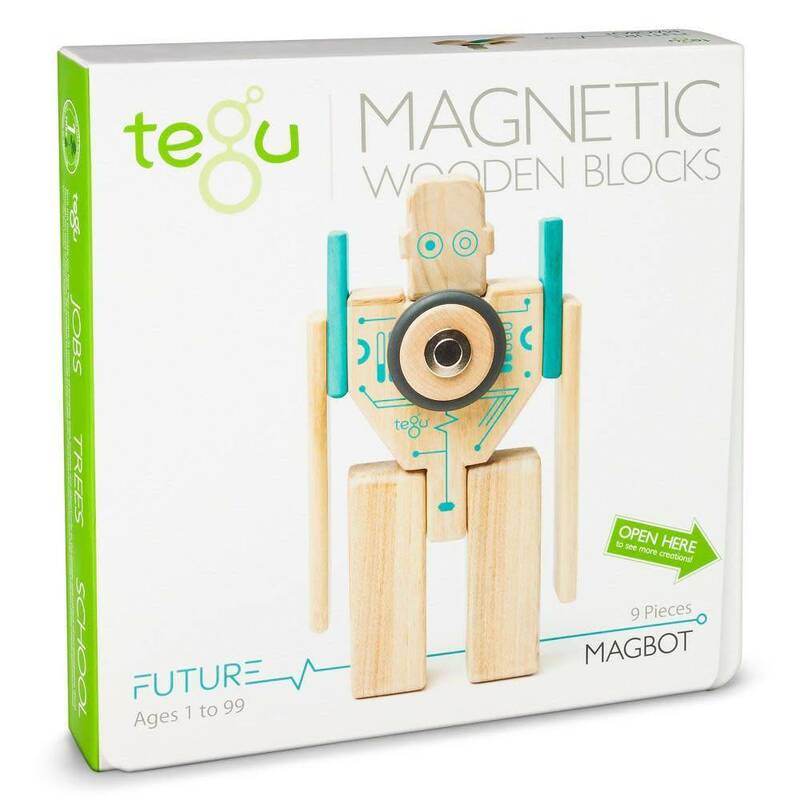 The FUTURE Collection is Tegu’s first “theme-based” sets, an exciting new frontier for the multiple award-winning magnetic wooden blocks. This innovative line includes 14 new, original shapes and uniquely combines print graphics with beautiful hardwoods. 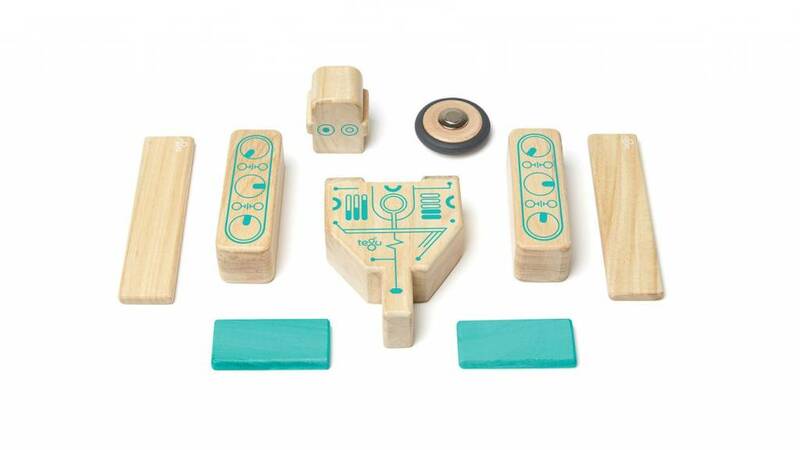 The combination of whimsical graphics paired with contextualized shapes bring personality to the play experience and helps seed the imagination. Meet your new automated friend who’s ready to help you with whatever you need! 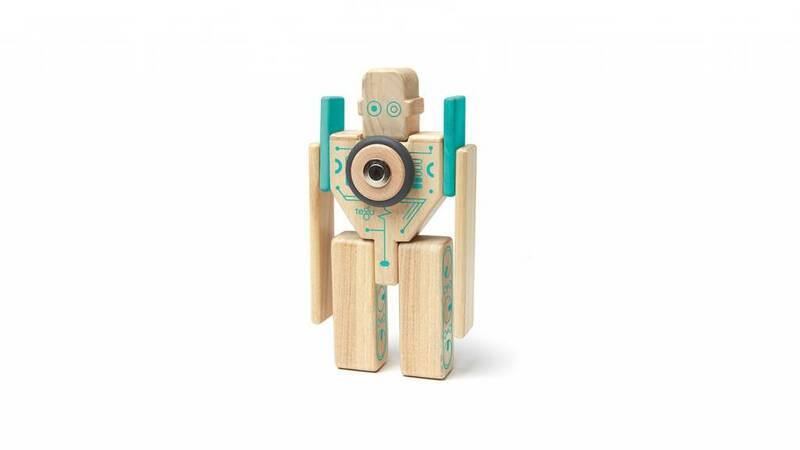 Being a robot, Magbot is super-duper smart, loves Science and extremely logical. 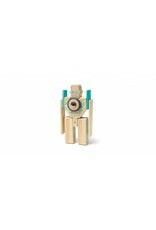 But don’t be fooled - it doesn’t take much for this playful pal to fall to pieces. The best part is that Magbot can be rebuilt into something different every time thanks to the hidden power of magnets. 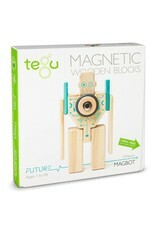 Can Magbot exhaust your imagination? Give it a try and see! Size: Package dimensions are 10.9 x 10.6 x 2 inches. Total weight is 1.2 pounds.